Brewer Description: (from website) A classic combination of two traditional methods of creating uniquely Scottish liquids: smoky peat on a sweet, resinous full body. Smoky, fruity, intense, full-bodied. Aged in Islay whisky casks for an absurdly long time. The perfect drinking occasion is to share these complex craft brews with good friends. 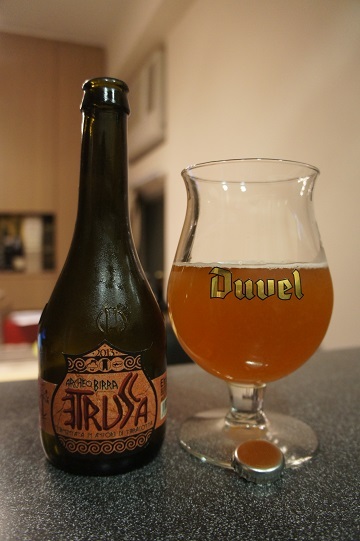 Intro: A 330ml bottle with a best before date of end of February 2019 and poured into a d’Achouffe tulip glass. Appearance: It poured a nice clear amber copper colour with a half finger white head that disappears almost immediately while leaving only very sparse lacing. 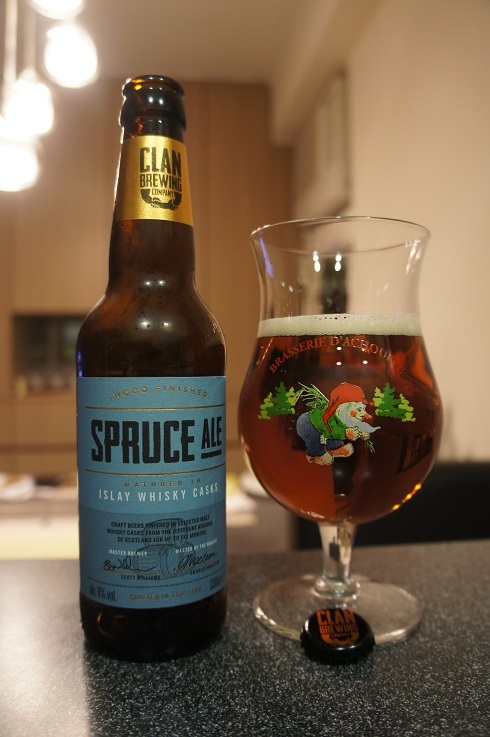 Aroma: Strong peat with maybe a touch of whisky, caramel, leafy and grass. 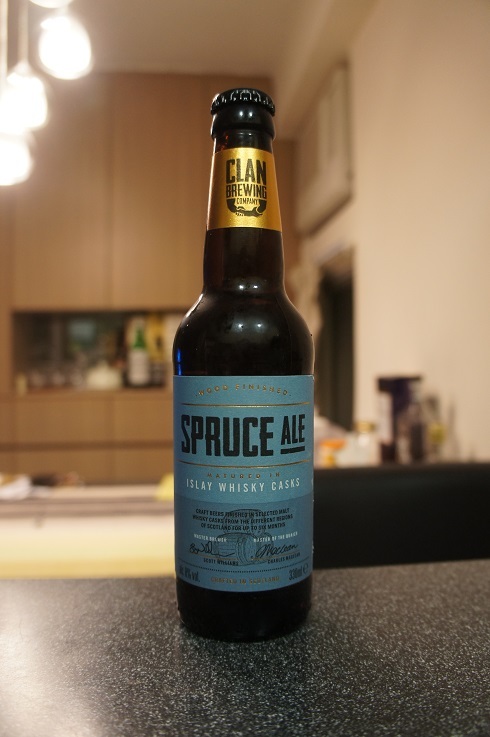 Taste: Sweet fruitiness that is mostly apple, medicinal peat and smoky wood. Overall: The peat from the Islay whisky casks is obviously there and I like it. But after that, the taste is overly sweet which I’m quite particular with. Other Notes: Brewed with smoked chipotle chili, raw cocoa nibs, vanilla and agave. 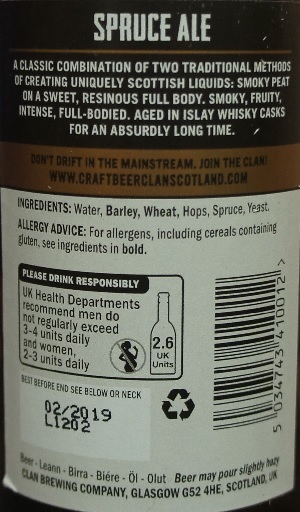 Brewer Description: (from can) Lager, but not as we know it. 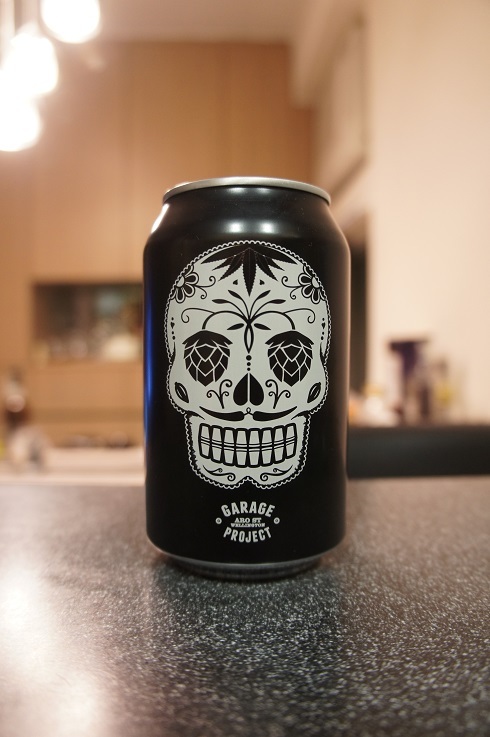 Garage Project’s Day of the Dead – a strong black lager inspired by the Aztec beverage xocolatl. “A bitter, frothy, spicy drink” combining cocoa and chili. 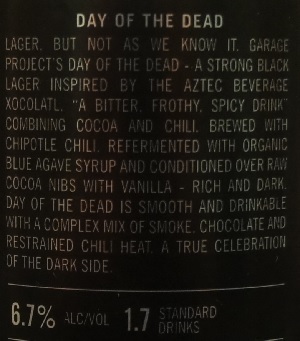 Brewed with chipotle chili, refermented with organic blue agave syrup and conditioned over raw cocoa nibs with vanilla – rich and dark, Day of the Dead is smooth and drinkable with a complex mix of smoke, chocolate and restrained chili heat. A true celebration of the dark side. Intro: A 330ml can with a best before date of 24th September 2016 and poured into a Mikkeller pint glass. Appearance: It poured a dark dark brown colour with a just over one finger tanned head that dissipated fairly quickly but settles to an extremely thin layer and left only sparse lacing. Aroma: Chocolate, cocoa, roasted malt, corn and a touch of chili. Taste: Chocolate, roasted malts, cocoa, a touch of vanilla and light chili heat. 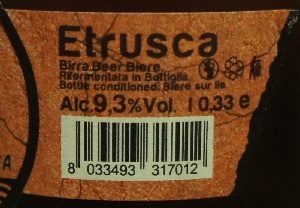 Mouthfeel: Medium bodied and moderate carbonation with light tingly spice. 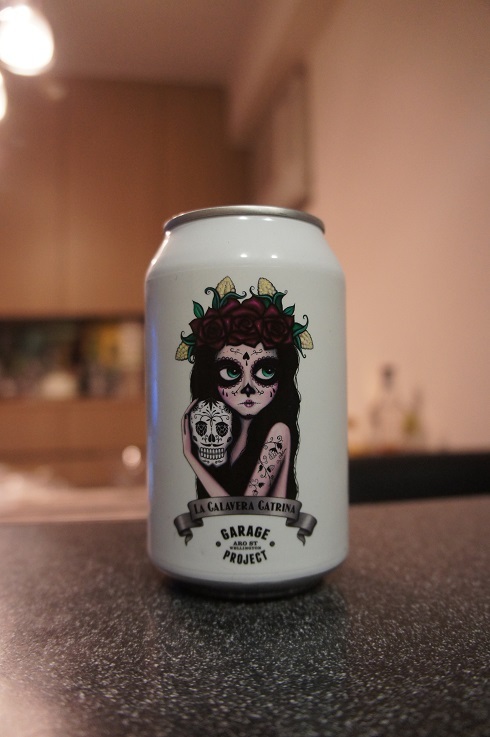 Overall: Day of the Dead was sold as a pack with La Calavera Catrina which was also a spicy beer. However, while I did not enjoy La Calavera Catrina much, Day of the Dead was much better. 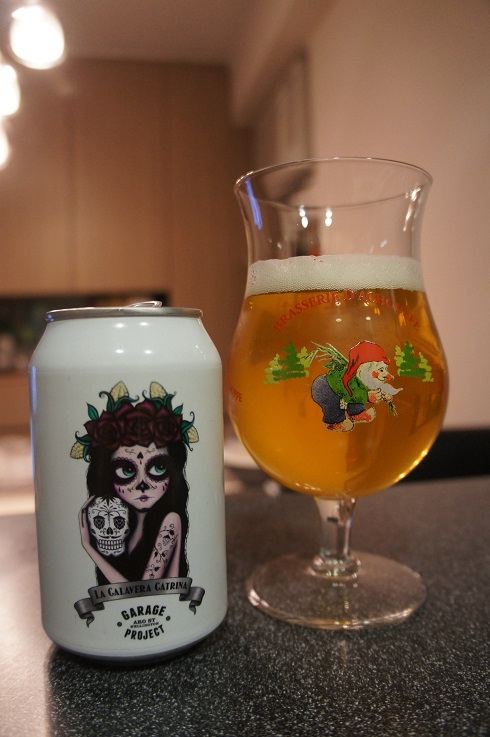 The spice in Day of the Dead was there, but more restrained such that it did not take over the beer. Not great, but not bad either. Other Notes: Brewed with maize, habanero chili, watermelon and rose water. 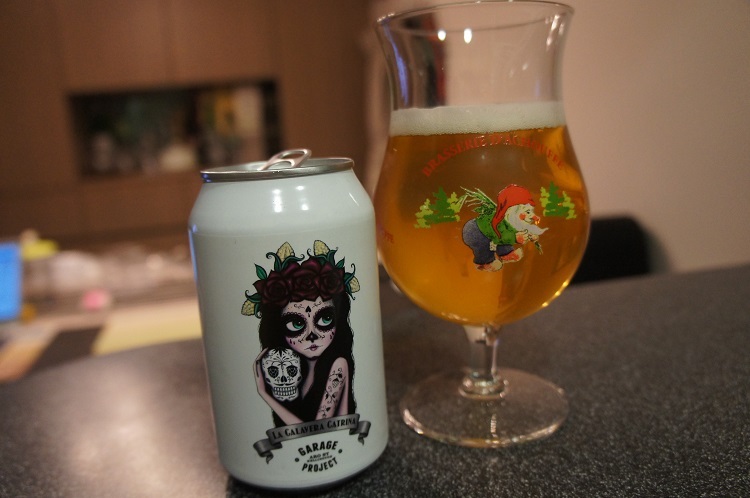 Brewer Description: (from can) The elegant skull, may be a blonde lager, but don’t be fooled, she’s no lightweight. 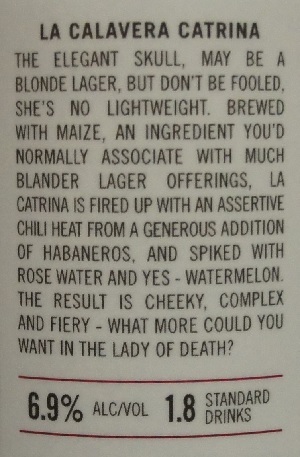 Brewed with maize, an ingredient you’d normally associate with much blander lager offerings, La Catrina is fired up with an assertive chili heat from a generous addition of habaneros, and spiked with rose water and yes – watermelon. The result is cheeky, complex and fiery – what more could you want in the lady of death? Intro: A 330ml can with a best before date of 21st July 2016 and poured into a d’Achouffe tulip glass. Appearance: It poured a clear golden blonde colour with a one finger white head that dissipated fairly quickly but leaves some sparse lacing. Aroma: Pale malts and corn along with some orange and lemon citrus plus a hint of rose water. Taste: Spicy! Chili heat at the beginning and chili heat on the finish. In the middle of it all there’s some sweet honey and apple maybe. But really, it seems all about the chili which is a bit overpowering. Mouthfeel: Medium bodied with light carbonation and tingly chili spice. Overall: I enjoy chili and eat a lot of spicy food, but I’m not sure this really worked. In this case, I thought that the chili really overpowered everything else, such that the other flavours you get in the middle, were pretty much negated. 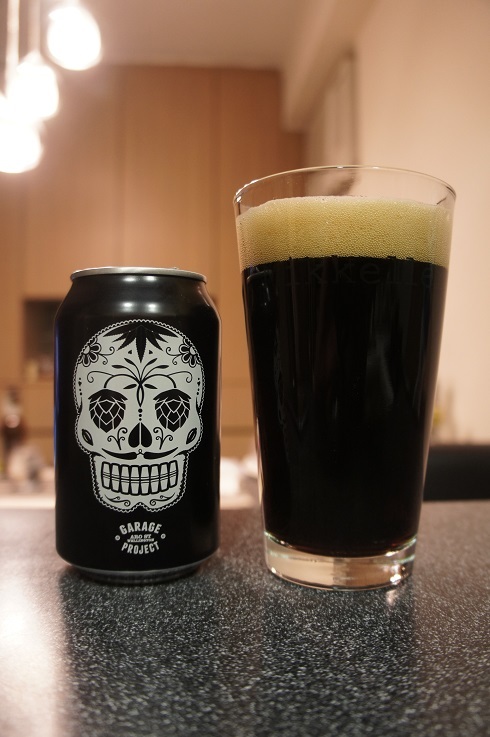 I feel that if putting chili in beer, then perhaps it would go better with the normally bolder flavours of an imperial stout or imperial porter, which would provide more balance. Other Notes: Brewed with honey, pomegranate, hazelnut flour, pomegranate juice, raisins, natural resin and gentian root. 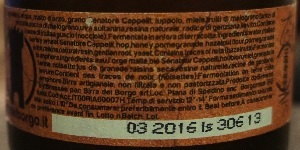 Brewer Description: (from website) A sip of history! Created together with our friends Sam Calagione and Dr. Pat McGovern from the States and Baladin’s founder Teo Musso, that’s really something unique: as we used unusual ingredients (for a beer) and most of all an unusual fermentation system (the amphoras! ), the result is a real “archeological find”. The amber colour reminds the amphora-aged wines; the nose gives scents of honey and berries and quite uncommon mineral notes. When you taste it, sharpness is the main feature, and the honey notes are quickly followed by mineral ones, again. 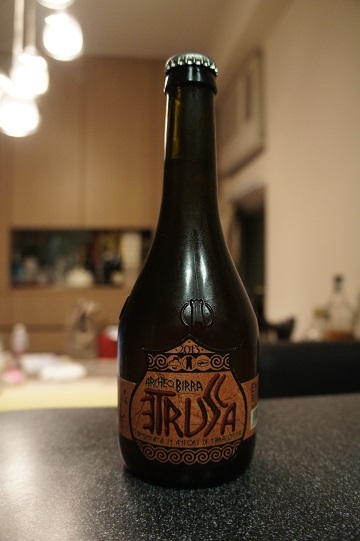 So, the few ones who will have the chance to taste this extremely rare beer (which has been made in a very limited quantity, of course) will be able to say that he had a sip of history! Intro: A 330ml bottle with a best before date of March 2016, poured into a Duvel tulip glass. Appearance: It poured a hazy murky dark orange colour with pretty much no head. Aroma: Sour, tart, grapes, vinegar, woody and citrus lemon, maybe even a hint of apple juice. Taste: Sour, tart, fruity pomegranate, apple, apple juice and apple cider vinegar with a minerally finish. Mouthfeel: Medium bodied with low carbonation but with a prickly feel. Overall: This was interesting. The sourness was nice, but I did not really like the minerally finish and it was on the flat side for me.